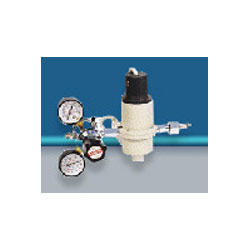 Leading Manufacturer of cylinder regulator and pressure regulator from Vadodara. Our firm is occupied in offering a wide range of quality assured Cylinder Regulator is obtainable in brass chrome plated body with stainless steel diaphragm and stainless steel body with stainless steel diaphragm. Acknowledged for their perfect finish, this quality guaranteed range is checked on plentiful parameters. 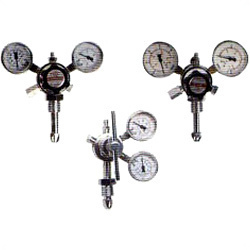 Client can purchase these premium quality regulators from us at affordable prices. 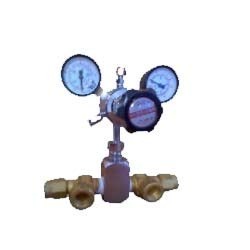 Being a reputed firm in this domain, we are engaged in offering a broad range of quality assured Cylinder Regulator that is renowned for its features. Regulators, offered by us are carefully manufactured using high rating indispensable material and high-end technology in line with set industry models. Our offered regulators are severely tested on wide-ranging quality parameters to guarantee their flawlessness at clients' end.